We have an expression- laughing out loud- that we use to explain that we really thought something was funny. It is such a popular expression that these days we abbreviate it- LOL- when using social media, to convey the idea that we thought that was funny. We do it face to face as well, we laugh out loud when something makes us happy. But what do we do when we are upset, or sad? Often we bottle it up. What is it about grief and sadness that makes us so uncomfortable that we as a society have an unspoken agreement with each other that we don't let on when we are upset. I mean, we can LOL, PMSL and even LMFAO, but we can't cry? What is that about? Is it because it is easier to be around that which doesn't need fixing? And what is that assumption about, anyway? That idea that if someone is sad they need cheering up? Is it because if we see someone in grief we remember things that have made us sad too that we would rather avoid thinking about? Again, it is the assumption that being sad is bad. Why, when someone asks how are you, we expect the answer to be fine thanks? What is actually wrong with feeling sad? With grieving? What is wrong with admitting that something rotten has just happened and you aren't feeling too great about it at the moment? We all experience it from time to time. Why can't we just say it? In some cultures when someone dies their family is expected not to talk to anyone for a period of time while they grieve. Here, we stand around comforting acquaintances and reassuring them that we are OK, even though it was our loved one who passed. We make comments like- go ahead and cry, get it all out of your system so you can move on. I beg your pardon? Move on? Grief is not like the common cold. You don't get better from it. It is an ongoing, sometimes intense, sometimes simmering process. It is real. It is normal. Why do we hide it from each other? Why don't we talk about how chronic illness effects us? Or how the emotional impact of a miscarried baby haunts us? Or how the diagnosis of our child makes us feel, as opposed to what we are going to do about it? Our culture gets this wrong, I am convinced of it. We need to express how we feel. We need to cry out loud as much as we need to laugh out loud. We need to be comfortable to cry and to let others cry without feeling like we must fix them. Sometimes the best fixing happens just in the process of the crying itself. It is natural. It is helpful. And it is right. So if you see me crying, don't feel sorry for me, or offer to help me, or try to cheer me up. It is part of my process. 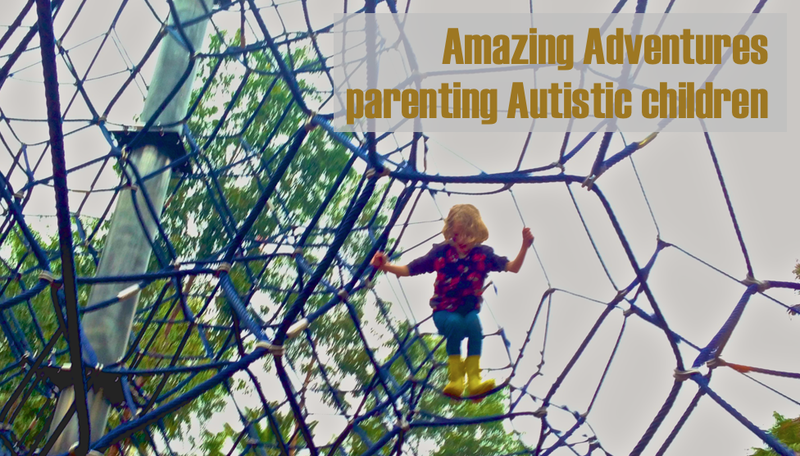 It is part of the way I live with 2 Autistic kids. If you really feel like you have to do something, you can cry with me. I won't mind. Or you could just sit with me. Let me be sad. It will pass. I will be fine. I know all that. Sometimes, I just need to cry out loud for a while. Hear, hear!! Love it. It's always bothered me when people shy away from tears. I'm convinced God gave us tears for a reason. Shedding them helps, somehow.